The Pitt Rivers Museum is a great place to work for lots of reasons. But one of them has to be the importance of cake to Museum life. Staff regularly make and bake goodies, or bring back traditional confections from their trips abroad, for us all to enjoy at break times. 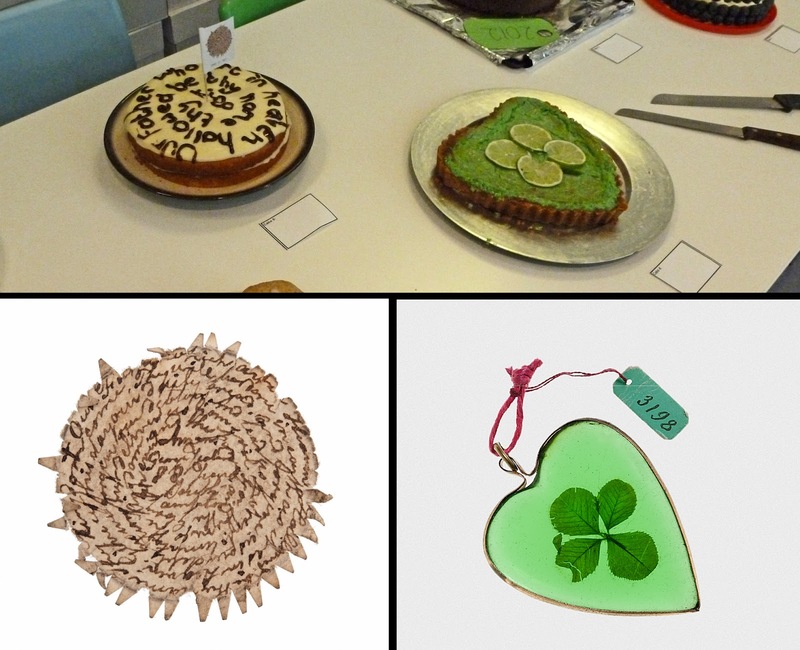 Every so often we run themed cake day 'contests' and this time around, we decided it would be apt to base it on amulets. 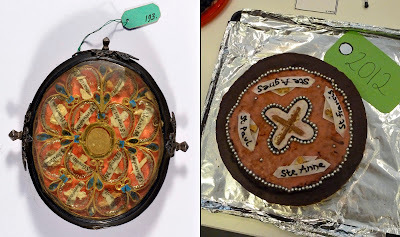 So, those wishing to take part had to make a cake or dessert that was inspired by the Museum's amulet and charm collections. The cakes were then laid out anonymously in the staff tea room, each with a piece of paper beside it. 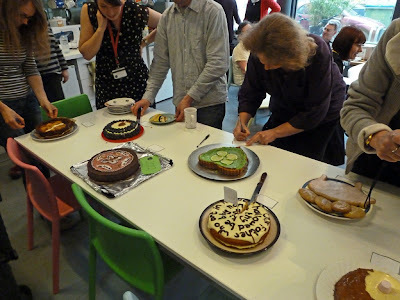 Staff were then asked to sample each cake and vote for their favourite - judged on both looks and taste - by placing a tally on the relevant piece of paper. Prayer (PRM 1985.51.781) [see here for more amulets from the Lovett collection]. Each cake received votes and it was a close-run thing as each one was yummy. Much to my surprise, my sponge cake - inspired by a piece of paper bearing the Lord's Prayer - won. I'll definitely use that recipe again, but next time I want to decorate it I'll buy a much smaller icing pen - I could only fit the first two lines on! Thanks to all the staff who took part - both the cooks and the tasters. I wonder what the next cake day theme will be?